Blueberry "pickin" season is here! Great family fun with kid-friendly activities, live music from area musicians, area artisans, food trucks, a farmers' market and more! 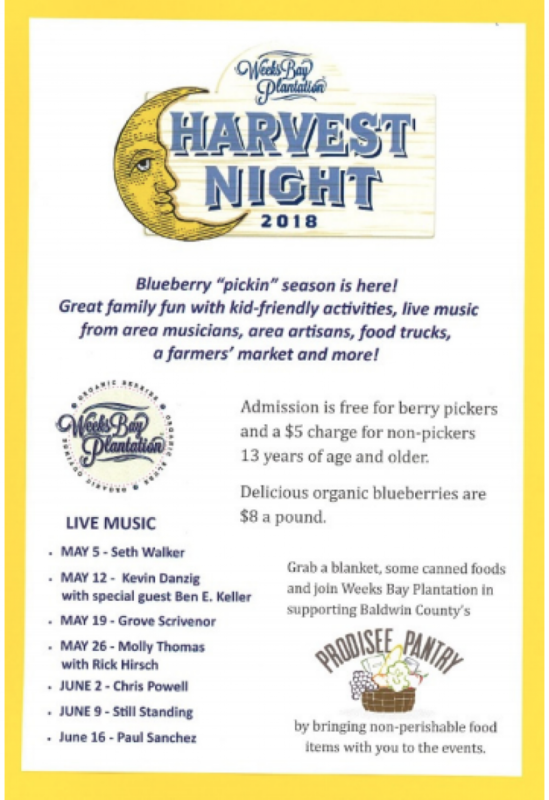 Admission is free for berry pickers and $5 charge for non-pickers 13 years and older. Delicious organic blueberries are $8 a pound. 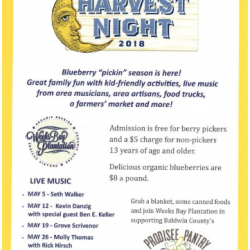 Grab a blanket, some canned foods and join Weeks Bay Plantation in supporting Baldwin County's Prodisee Pantry by bringing non-perishable food items with you to the events.